Ominish is a brand that does contemporary jewellery. They've got earrings, necklaces, rings, bracelets and more–they use natural baroque stones and gold plating to make stunning pieces. The BFF's wedding, the festive season, or even the daily style statement–Ominish's jewellery seems to fit the bill for everything. The brand is run by a mother-daughter duo that seems to have a knack for offbeat designs. Their USP is using natural baroque stones in their designs and damn does it look good! On their store, they've got everything from bangles and bracelets to necklaces and earrings. We love their agate everything–the bracelets and the earrings would be perfect to pair with any look. 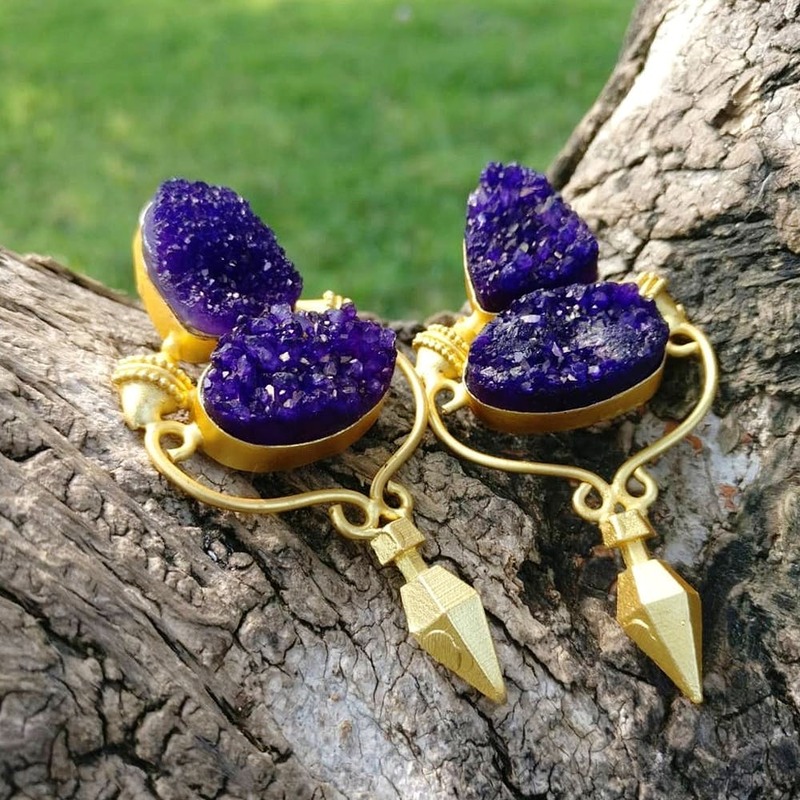 A lot of the products on the website (like the purple Druzy earrings) is handmade by village women and is delivered in environment friendly packaging–full points! They might be on a bit on the pricier side, but the quality is worth it. We love the fact that their designs are highly versatile–pair them up with the right outfit for work, brunch or even a dinner date.